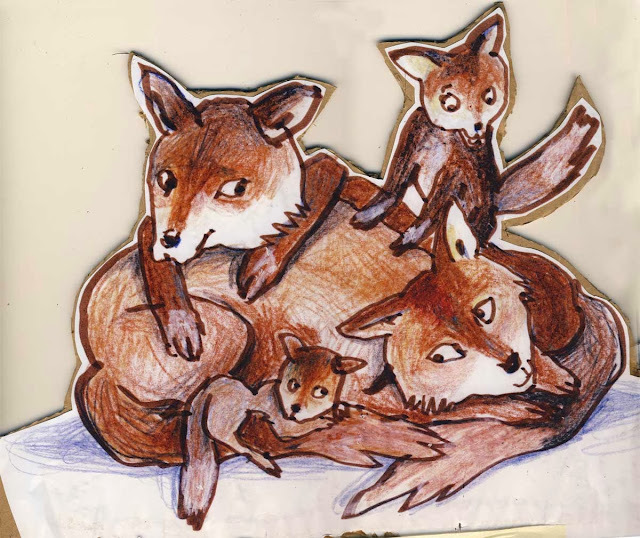 and yes, this theatre piece which will be played by the school children, is about Foxes. "Der Fuchs in der Stadt", so, " The fox in the City". 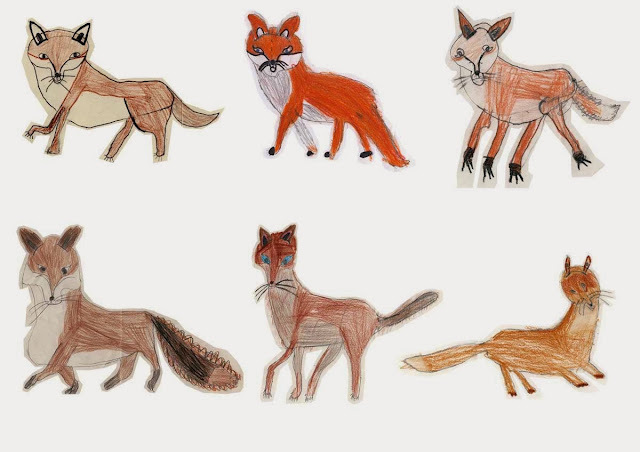 Foxes drawn by the children. Each one drew one. More foxes! they are great, aren't they? 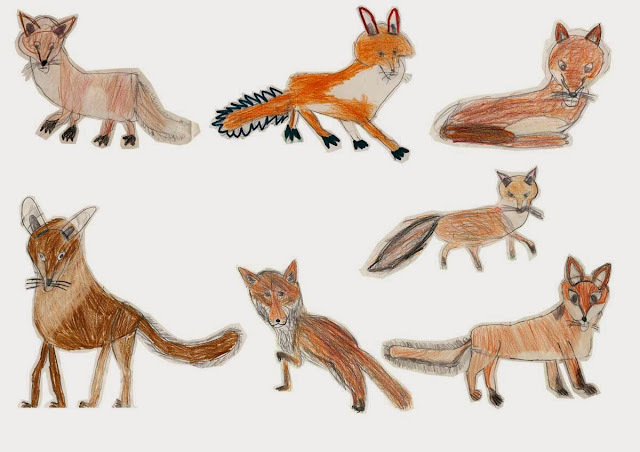 One of the first activities of the project, while learning about foxes and natural environment, and visiting Nature Schools, was to draw a fox. We did it step by step, I drew a a big fox in the blackboard, same time as the children. I was so happy seeing the result, all so great and individual. I love the all! Happy Fox Family. I drew this one.